ff-energy electrons. 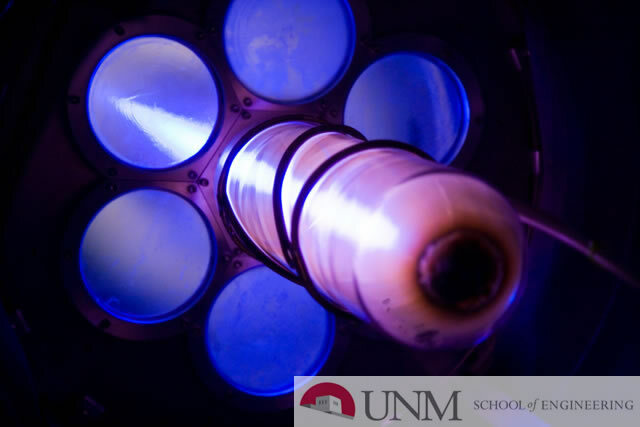 To this end, a rise-time sharpening circuit has been developed at the Los Alamos National Laboratory (LANL). The circuit consists of a 7 nF water-filled peaking capacitor with an integrated self-breakdown switch designed to operate up to -300 kV. This unit is intended to reduce the rise-time of a 4-stage Type-E PFN Marx Generator that will be used to study operational characteristics of velvet cathodes. Simulations of the peaking circuit show a reduction in voltage rise-time from over 100 ns to roughly 20 ns. Experimental results taken at 150 kV load voltage showed a reduction in rise-time from 98 ns to 16 ns. This thesis details the simulation, design, and testing of the peaking circuit.